Want the inside scoop on a hot new brewery? Increasingly, the circumference of that kind of buzz is shrinking, capturing cities, towns, and neighborhoods—not just states or regions. It’s an inevitable outcome when you have 5,400 breweries scattered across the country and 78.5% of drinking-age adults living within 10 miles of a brewery, according to the Brewers Association. What’s new is what’s trendy, and when there’s a churn of fresh beer coming from down the street, it’s easier to accomplish both those goals. According to Nielsen, about half of the country's beer-drinking adults say that locally-made beer is “somewhat” or “very” important. And yet, we’re seeing more foreign entries than ever before. Plenty of attention has been paid to Mexican brands (Corona and Modelo are the top imported beers in the U.S.), and even Heineken has seen some success with a bump of almost 2% in sales in halfway through this year. Other, smaller players also feel emboldened. New Zealand’s Moa Brewing Co. decided to re-launch in 2017 after leaving the American market for parts of 2015 and 2016, and Belgium’s B.O.M. Brewery (an acronym for “Belgian Original Maltbakery”) will contract a line of beers in Texas for U.S. distribution. 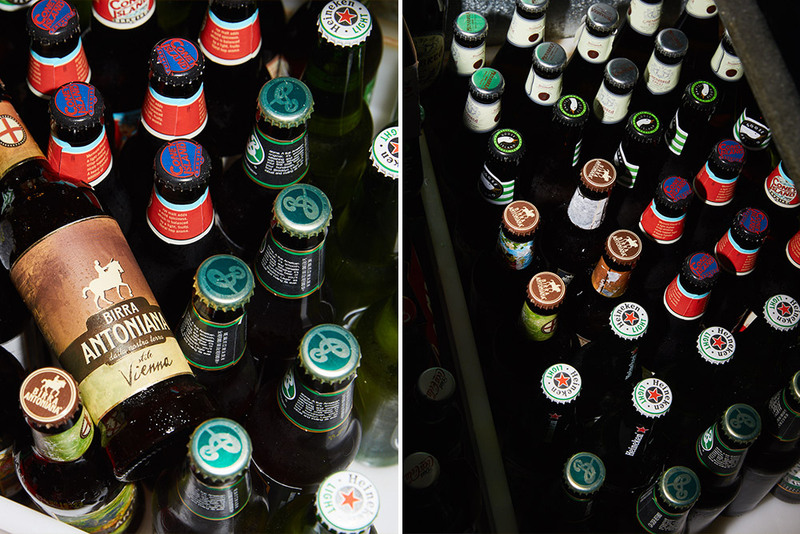 There is a strange duality to the marketplace all of a sudden where, in spite of American beer drinkers’ preference to skew toward beers made closer to home and a vast array of choices that make that easier than ever, non-American businesses still see plenty of room to play. This spring, Dahlhaus’ company announced the arrival of Birra Antoniana, a six-year old Italian brewery that has already been sold in a dozen other countries around the world, including Austria, Germany, and the Netherlands. On one hand, it’s a confusing move. For years, Peroni and Moretti have set the standard of how Americans might consider Italian beer, which is to say, bland. Besides, Italy is known for its wine, not its beer. Even still, Antoniana’s lineup rolling out in New York City and Boston sounds awfully familiar, with brands like Marechiaro (Lager), Pasubio (Hoppy Lager), Altinate (Dry-Hopped Lager) and Vienna (Vienna-Style Lager) that aren’t going to set the world on fire. These are all kinds of beers that can be found at the corner bodega and at a suggested retail price between $10.99 and $14.99 for a four-pack of 12-ounce bottles, local options—let alone ones that are younger in age before Antoniana’s beers will hit shelves—are readily available. And yet, the plan being hatched by Antoniana and Liquid Projects to make their situation work seems like something of a roadmap to other ambitious international brewers trying to find footing in the ever-crowded U.S. beer market. With its first shipment to New York City of 800 cases of bottled beer and 300 eight-gallon keykegs, Antoniana will distribute to around 40 high-end pizza restaurants to begin its presence in the U.S.
“There is no domestic American brewery in any way or form dominating the Italian restaurant niche,” Dahlhaus says. In essence, Birra Antoniana is trying to accomplish what Sapporo has done with sushi and Corona with tacos. In its own little sphere of influence in two of America’s largest cities, create a market within particular dining experiences. Last year, the brewery was registered as an “approved beer supplier” of the Associazione Verace Pizza Napoletana, a non-profit organization committed to promoting and protecting the “True Neapolitan Pizza” experience. In this case, the association has promoted Antoniana’s Marechiaro Lager as an ideal pairing with Neapolitan pizza. This targeted process isn’t anything new to selling goods, but it is becoming a more important part the beer industry, in which a crowded marketplace is forcing businesses to more narrowly identify their place and how their beer can fit within that scope. The difficulty with imports—a roughly $6 billion category—is that major growth isn’t easy to come by. In 2016, Mexico, Netherlands, Belgium, Canada, and Ireland accounted for 92.8% of imported beer sold in the U.S., and these countries are generally led by mass-produced beers that are culturally synonymous with their place of origin. Individual brands Stella Artois (Belgium) and Heineken (Netherlands), for example, both accounted for about a third of their home country’s imports to the U.S. in 2016. In both business plan and purpose, newcomers to the U.S. beer marketplace have to be OK with the likelihood of a smaller footprint for their product. Partly because American drinkers have proclivity to choose beer that’s easily identifiable and in increasing numbers, local in geography, and partly because it’s not easy to break into a segment that can already be dominated by big players from abroad. Which is why entry into the U.S. is rather deliberate for Sydney’s Australian Brewery, which in early press releases announcing its American arrival billed itself as the not-Foster's version of Australian beer, poking fun at a brand the U.S. market has identified as specifically Australian for decades. Overall, the brewery’s plan to find new audiences is built on a line of thinking now heard commonly among small, American brewers and has gained steam in Australia in recent months. 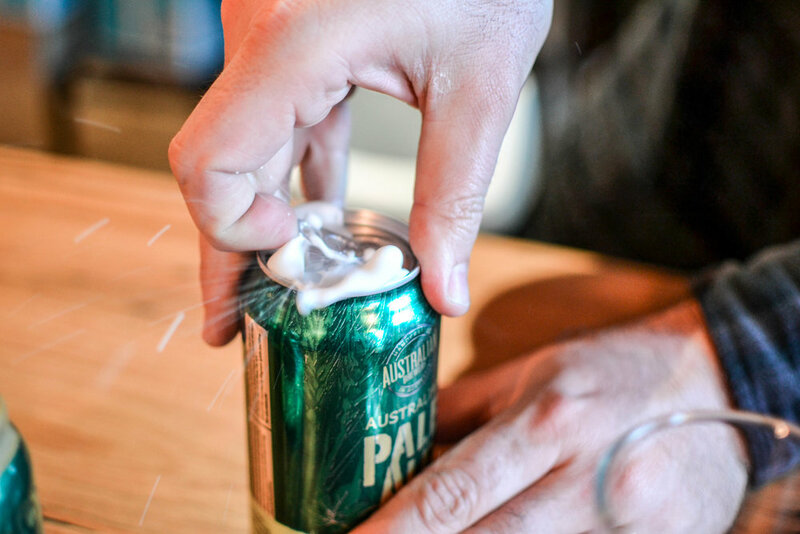 How this factors into Australian Brewery’s encroachment on its latest international market remains to be seen after launching in Los Angeles and San Francisco at the beginning of this summer with 1,200 cases (about 90 barrels) of canned Pilsner, Saison, and Pale Ale. The company already ships about 3,400 of its 8,500 barrels of annual production to seven foreign markets that include Japan, China, and Singapore—three ideal countries because of the influx Asian tourists to Australia. Only New Zealand features more vacationers who visit Australia than China, which had 1.2 million residents travel Down Under in 2016. Because American audiences don’t have that kind of immediate connection to the country, Ward said playing up the brewery’s independence and ingredients will be a big part of building interest. In a hop-happy state like California, identifying the brewery’s use of Galaxy hops in its Pale Ale can play to their advantage. Similar to Birra Antoniana’s lineup, Australian Brewery’s brands will seem familiar to Stateside drinkers who have plenty of Pilsner, Pale Ale and Saison from which to choose. The test now becomes how well the brewery can mix a story of a family-owned business half a world away with beer geek credo du jour to sell that beer when so many are is already doing it in America. In one way to break down that barrier, Australian Brewery will have a presence at this fall’s National Beer Wholesaler Association convention as a way to tell their story to industry pros and drinkers alike. It all presents a challenge, Ward admitted, but selling limited quantities ad hoc in specific markets that feature international populations and many visitors gives also company some breathing room to not overextend themselves. Ultimately, the stories of Birra Antoniana and Australian Brewery are examples of the ambition found around the world when it comes to beer. As America has helped to inspire new expectations of what beer can be outside its borders, foreign companies now see the U.S. as their proving ground. With thoughtful consumers and plenty of competition, there’s a romantic ideal shared that if you can make it here, you can make it anywhere.